Yesterday I wrote about the ideal blog length, and how I felt like there isn’t one “right” number of words. 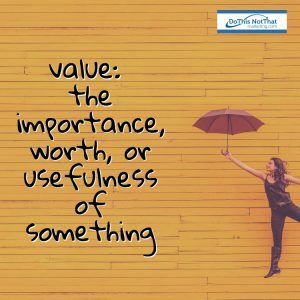 What I was trying to get at was that the length wasn’t as important as the value you provide. When people search for information online, they look for the same sort of things that a search engine does. They do the search and then evaluate whether or not the information resonates and useful to them. If you always seek to provide high value information to your visitors, you’ll be a lot more likely to not only attract a high quality of visitor/customer to your website, but also to keep them there. Here are some great ways you can provide that high value that people are looking for. * Develop White Papers – A white paper is an authoritative paper that either persuades a consumer toward a particular product using facts, or describes problems and offers multiple solutions to the consumer. You can provide white papers on a variety of topics for your audience that will be seen as high value to your audience, whether they’re free or not. If you’re tempted to write one yourself, I recommend you check out White Papers for Dummies. If you’re not sure you should write it, you can find freelancers that can help you write a great one. I hired a great writer on Upwork.com. * Create Videos – A great way to provide high value to your audience is to make videos for them. You can create “how to” videos, explainer videos, and other types of demonstration videos, or even just informational videos about topics that your audience cares about. Make them short, no more than three to five minutes. The value will be perceived as very high when it’s information they want. Earlier today I was making videos that explained how to create accounts on social media sites—LinkedIn and Twitter. * Write EBooks – Another way to provide high value to visitors is to offer eBooks about the topics they care about. In this way that they can read the information on their Kindle or other reading device away from the website. I’ve never written an eBook, but I’ve actually given away other people’s eBooks that I felt would benefit my audience. * Form an Inner Circle – One really great way to provide a super high value to your audience is to create a members only area, paid or free, where people have to be approved to join. You can now do this via Facebook private and secret groups. People like feeling exclusive, and this is a good way to do it. I’m creating one of these with a friend. It’s called TheDIYMarketingToolkit.com. I’ll be sharing more soon. * Host Monthly Webinars – Offer periodic webinars or teleseminars for your website visitors. If you offer them monthly, based on various topics of importance to your audience, you’ll up your authority quotient with your audience exponentially. * Conduct Case Studies – Once you’ve been around long enough, you likely have some success stories that can be shared. Collect case studies about people who have used methods you describe. You can even collect studies about people who have succeeded using methods like yours. This will make the audience feel like they’re truly getting a lot of value out of the information provided. * Interview Experts – Your audience will absolutely love it if you interview movers and shakers within your niche. What’s more, the more you interview experts, the more people will view you as an expert. That’s how Oprah became the guru we now know today. Not only has she learned from those she’s interviewed, but her audience sees her as an expert in a variety of fields. Most bloggers don’t really understand the power in providing value to their visitors, so they miss out. But now you know that providing high value through the various types of content you offer can increase the traffic and even improve traffic loyalty. 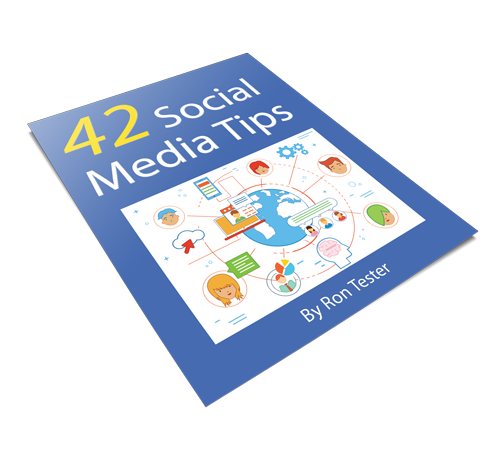 If you need help trying to figure out what you can offer to your visitors that will keep them coming back for more, please email me or look me up on Skype at ron.tester. Yesterday I wrote a very short blog post—about a hundred words. It was what I wanted to say, all that I felt I needed to say. I could have added filler, but why? It might have made some SEO algorithm happy, but would it have made you happy? Would it have made me happy? Probably not. There are a lot of people who claim to have the answer about how long a blog post should be. I’m not convinced there is one right number. There are good reasons for having long, short and in-between blog posts, so my best answer to this question is to have a combination of all types of posts. I use the Yoast SEO plugin (which is great) and it tells me that my blog posts should be around 300 words or so. I can do that. But sometimes my posts are 1500 words or so, sometimes 100. My goal is to write informative and, as often as possible, engaging blog posts. Because I’m here to serve you. Keeping blog posts short is great for readers who have short attention spans and to update your readers on something exciting. Bite-sized content is great to read while waiting in line, at the doctor’s office, or when your reader has a short break. You get to the point quickly, so they can move on to your call to action. * Curated – You collect the content you think is relevant that your audience should look at, and write a short blurb or intro to the content. * Product/Service Announcements – These don’t always need a long post. You may just say that the service is available or that the product has good reviews, and link to where they can buy it (which is often a longer sales page). Many people are very successful with this type of blogging. A real proponent of short blog posts that get right to the point is Seth Godin and no one can deny his success. To read Seth Godin’s blog, click here. This is the type of blog posts many gurus swear by. You’ve likely heard it before and the thing is, it does work. Writing blog posts between 300 to 700 words long is considered fairly standard for the industry. Some blogging platforms actually suggest keeping blog posts to no more than 600 words because you’re being too long-winded and perhaps off topic if you go longer. That may be true in some cases. Confining your writing to a certain word count can help you stay focused. * How To – This type of blog explains how to do something that is very singular. Sometimes it uses images to get the point across. * Informational – Sharing information with your readers is often done in the medium-length blog post. It’s a good length to transmit information without going overboard. Most blog posts fall into this category. Nothing is wrong with that. These posts are the perfect length to tell a story, share information, and include a call to action – while including enough keywords without overwhelming the readers. HubSpot.com is a huge proponent of the medium-length blog post. Many people only use medium-length blog posts to great success. Another type of blog posts that some experts swear by is the “long-form” blog post. This is a blog post that is more than 800 words long. 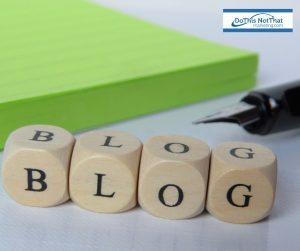 These types of blog posts are often seen as more authoritative and the fact is, they are excellent for SEO. Google respects authority pages more than niche blogs with thousands of short pages of content. Therefore, creating some longer posts, even up to 3500 words, can be great for your audience and search engines. * Case Studies – These by definition need to be long because you’re telling a story about something that is more in-depth. Case studies that are too short will not tell the whole story. People love knowing as much as they can about other people’s lives and stories. * Annual Reports – If you have a large enough business that you can (or would like to) create an annual report, posting it for reading on your blog is an excellent way to put content that will interest your readers. They definitely want to know how you’re doing. Neil Patel, founder of KISSmetrics, is a lover of long form blog posts and it works for him and many other bloggers. However, it’s important to stay on topic, not deviate or change subjects, and be able to actually write well enough to keep the interest of the reader. All of these types of blog posts are important to have on your blog. If you have a mixture of the different lengths of blog posts, and more importantly ensure that each blog post has a reason for being on your website and is targeted and relevant, you’ll see good results from all three types of blog posts: short, medium and long. How long is your favorite kind of blog post (if you have a favorite)? Would you rather I wrote shorter or longer blog posts? Please comment and let me know. Like I said, I’m here to serve you. I just saw this infographic on Twitter and I thought it was a great reminder. Everything you want to do with your business—to get the word out, to get more customers, and ultimately to live the life of your dreams—everything begins with Great Content. Perhaps in the old days you could rain your advertisements down on your audience and someone would buy (what Seth Godin calls “interruption marketing”). But those days are gone. 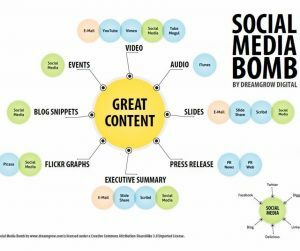 Today, if you want to succeed, you need to create/share/curate great content. What have you created today?